Short Article about the benefits of rammed earth buildings, success stories both ancient and modern, and discussion of barriers to adoption. From the International Conference on Rammed Earth Construction, 2015, Australia. Guide for building rammed earth structures. Overview of testing soils, site selection, site managment, design, formwork, etc. Rammed Earth Test Panel Testing Results for Glendale Childcare. Contains the testing criteria and results. 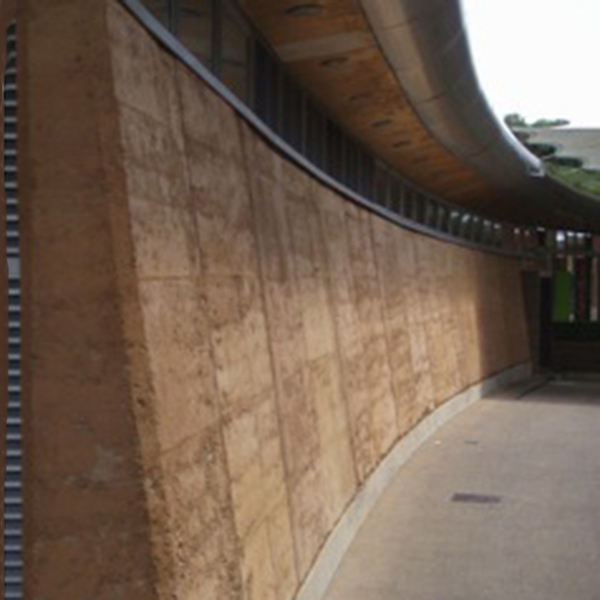 Rammed Earth Test Panel Results, Performed by Disney Core Services for Glendale Childcare. Specifies cement-stabilized rammed earth, including formwork, reinforcing, mix design, placement procedures, and quality control measures.